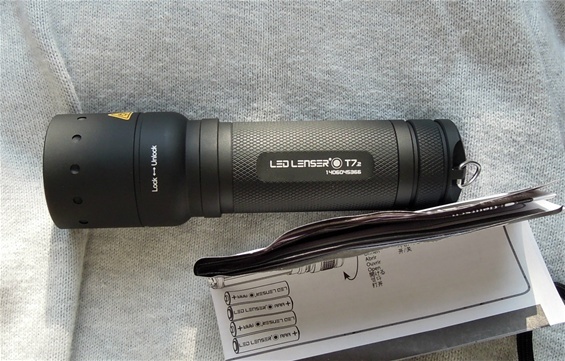 I bought this LED Lenser T7,2 yesterday for my LED interest and to see how it is. Of all LED lights it is the T7 I know best, the T7,2 is very nice and the feeling is instant quality in hand. 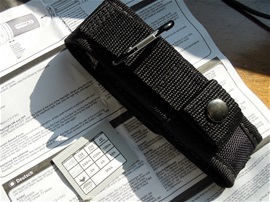 The price level on this is well because the package contained a sheath/pouch, lanyard and double set of batteries. The new surface gives a different traction and slip resistance with or without gloves. The focus now got a locking mechanism and this works on different settings. This is a safety feature in situations that would require a firm setting. The new switch got a signal orange color that is easier to see and it is also larger than on the T7 I have from before. 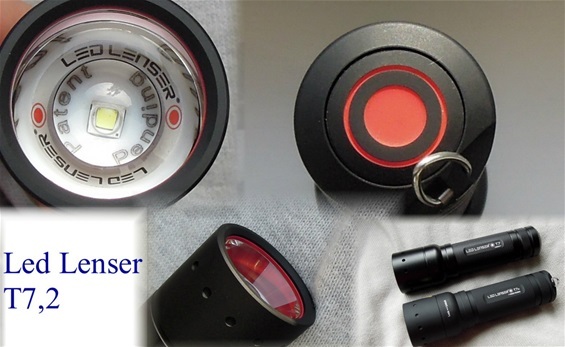 The lens technology speaks for itself with Led Lenser because the use of such technology will control the light from the Chip in a completely different way than on other reflector technology in the world. I have talked some on my pages about LED lights with much power that seems out of control and in chaos. This is eliminated with the Led Lenser lens/reflector technology. This is one of the reasons for why I like this Brand. 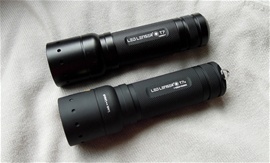 The light output on the T7,2 is much stronger than on the T7. This is easy to see when they are tested against each other. It is mentioned 320 Lumens on boost mode on the new. 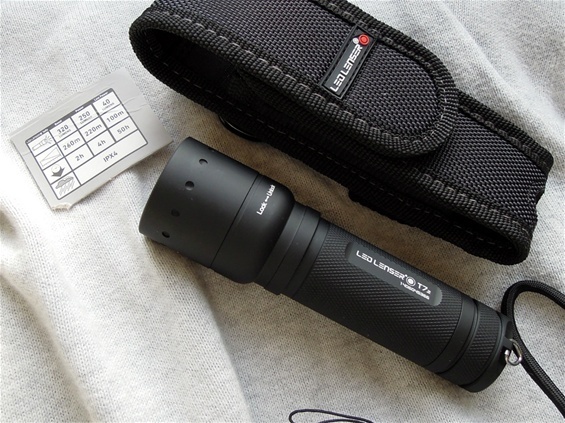 It got 250 Lumens on power mode and 40 Lumens on low power. I had to test it some last night and the beam is guided or thrown 260 meters without any problem. The light output from a Led Lenser is under control and therefor the amount of light can be more harmonic to work in and the output can be compared to a higher rating of light from other Brands. The T7,2 I feel is a balanced product in many ways and the battery drain is in harmony with the output of light. It is important with LED/chip technology that the distribution of heat is in balance with the body of the construction and that it got a balance with the amount of energy. The ribbed or cut surface on a light got different purposes and one is to secure a better grip in wet conditions. The cut surface will allow water to drain/distribute and it will together with the new surface prevent the grip to slip. The cut surface will be helpful with gloves. The surface is also less shiny or reflective. The Lens/reflector used by this Brand is more pure and precise than on other Brands. Av alle lommelykter med led så er det Led Lenser merket jeg liker og kjenner best. Jeg brukte penger jeg fikk til min fødselsdag og kjøpte den og jeg synes det var et bra valg. I can also mention that a carabiner was in the package and i would like again to mention that it is smart to save the documentation/instructions.